If the western sky held promise that morning, one might have been encouraged. A single great white heron passed under the last half of the moon just before dawn. Another morning in Paradise; the courage to drive on or at least to the pump. But wait. Pressing issues held at bay somewhere between all night movies and Paid for Programs, secretly wrapped in drive-through McMuffins and see through napkins, an ageless crush, a thrust, egos and splash. If only we could get it, whatever the hell it was, and it was to own, steal, lend, bend the market, slip a fid, cash in, move to Dubai, Maine or “whatever”; stuff the affair in a suitcase. One man’s floozy was another’s gift certificate. America watched the screen for the prize night after night; boinked, mesmerized, the hooting pundits shone on themselves, berating, amending, frivolous laughter, a chewing unending sound byte staring down their own cameras. The screw that might turn the tide, the real meaning of Id, the subservience or intellect, the jokester, the fool, tucked carefully between a Mercedes, cologne, the drama of drugs to keep it up, cool it down, pad the calamity, thin the mind and belly for the price of a gallon, intramuscular please, a song to remember, the election up for grabs depending upon whose hand slipped up America’s skirt at the moment. 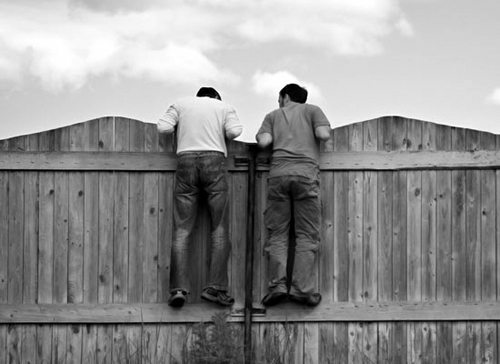 “Good Fences mean good neighbors”. Who said that? That integrity basked in towers and long reflecting pools between Lincoln and Washington. If we just stood on that faithful hill that braved spaciousness we would own or at least claim, but alas the Island in Maine had loosed the bad meat in Texas, the crippled, the superlative, the world grabbing hustlers who sold guns, played the Star Spangled Banner on their heart pumps and waved judiciously, said no,. On with the folly in the folds of the cheeks, the grins to any and everyone. Oh the TVs blinked somewhere between aghast, awe and chest thumping; the children awash in flash, ready or not, in line for the next rocket, the bombed out skulls that cooked them. Tampons ruled or was it a slow leak in Paradise, the polar bear leaped for a chunk of life, college students stared down dim hallways called gone, geezers rolled eyes of despair and I told ya, a little Viagra in the medicine chest, the gunning down of Kennedys, MLK, but an echo in their hearts. It ripped on. Real life drama flashed the screen. Who’s real? Who’s not? Step up to the mike. Let’s hear the cracked tenor kid, the soprano squirrel. Beat each other senseless with bamboo sticks on a strange rehearsed island. Click it. Text it, phone it, bleed on the floor, gamble the rest, fall in love with your own particular discontent. We have a cure. Ask them. They want to talk about change. Watch the candidates march the stage from Oshkosh to Hawaii, the University of Ding Bunny to the Pre-School of Lulu—they are freedom. You know. Like that. Wasn’t it the famous astronaut Edgar Mitchell who said, that one of the first things you discover when you enter outer space, “God is not up.” Yes, the sun rose in the East. The moon disappeared. The rush of traffic thinned the day. This entry was posted in David Plumb and tagged David Plumb, zee morning rant by Monsieur K.. Bookmark the permalink.